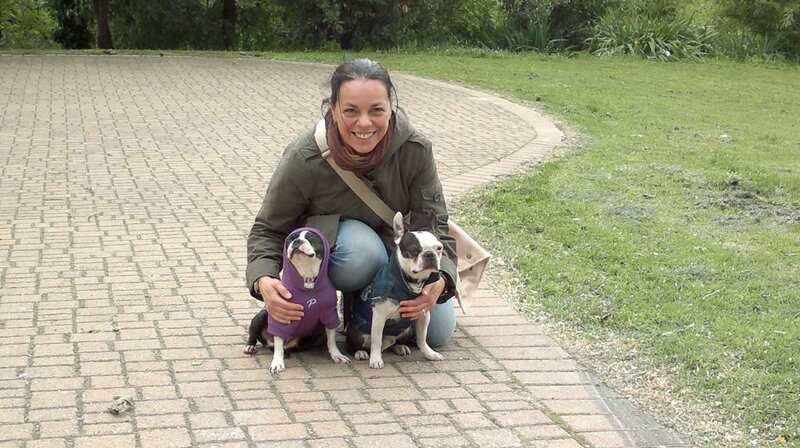 I'm an Italian girl and I have 2 Bostons. 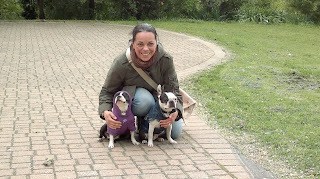 Thank you for your work with this little dogs !!! God bless you !!! Meet new foster Gus. He is 6 years old. His owner had to go into a home so her family was coming into her home for a year taking care of him 3x a day. He is a super sweetheart and is doing well in his foster home. More updates to come! Jerrilyn Walters reports on the volunteers who reached out to rescue Gus and his Jack Russell Terrier buddy, Shiloh. increasing debt that she could no longer care for the dogs. the other house to care for Gus and Shiloh every day. Well our colleagues in the Pittsburgh area sprang into action! wasnt a BT. She took them both home! reports that he is sweet, happy and healthy. finds a home or foster home. He is also sweet happy and healthy! rescue volunteer took Shilo too. the address on the surrender agreement?" available - spread the word! Check out their picture I have attached here. with this and other NEBTR rescues every day! Every action goes a long long way. While Hooch is not a Boston, pug, or Frenchie....he is an awesome foster brother to 25 former foster pups....and this video is too funny not to send. 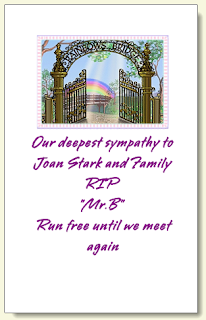 Our deepest sympathy goes out to Joan Stark and family on their loss of Mr. B.
Joan writes, "It is with a very heavy heart that I have to share that we helped our beloved Boston (also known as Mr. B) to cross the Rainbow Bridge today. 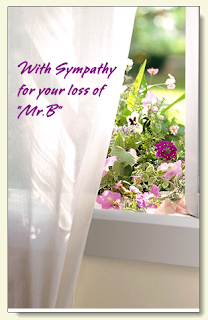 He ended up with pulmonary fibrosis and was struggling for every breath. We had a rough time find a diagnosis but after consultations with cardiologist, internist, radiologist and multiple tests and medication trials this was the end result. No response to meds meant that there was nothing more to do. While he wasn't an NEBTR rescue boy, he was my first rescue boy. We got him eight years ago when he was two. He had been found in an abandoned house. 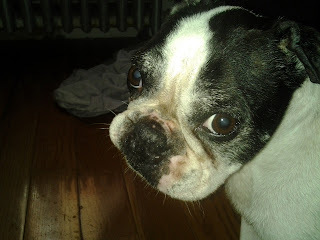 He had been going in and out through the doggie door and feeding himself from garbage cans and whatever he could find and would go back to his crate at night. He weighed ten pounds and was full of parasites. he grew into a beautiful brindle boy of 23 pounds and was such a joy to our lives. 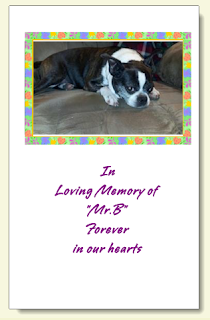 He is the reason I joined NEBTR and continue to work with rescues. He was such a happy go lucky laid back little clown. He did tricks for treats, and before he went to sleep for the final time gave me one last kiss and one last high five. This must have been the reason that Beanie came to us as a foster. 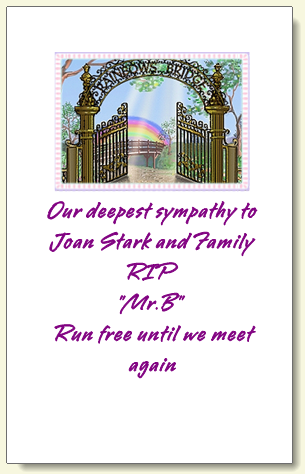 Run free at the Bridge Mr. B. Your Momma and Daddy miss you already." 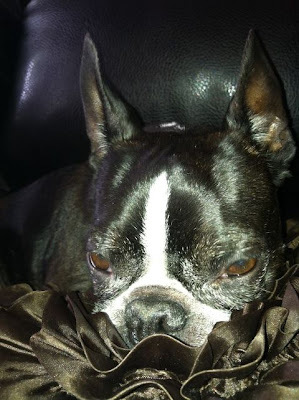 Max is 10 years old, but he didn't get the memo: he hasn't heard that senior dogs should be slow, sedate and thoughtful. 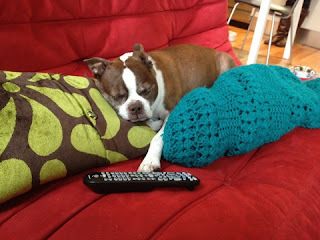 Max subscribes to the you're as old as you feel theory, and he feels like a teenager. He has no idea where the gray whiskers came from, and he's not about to let a few gray hairs keep him from some adventures. 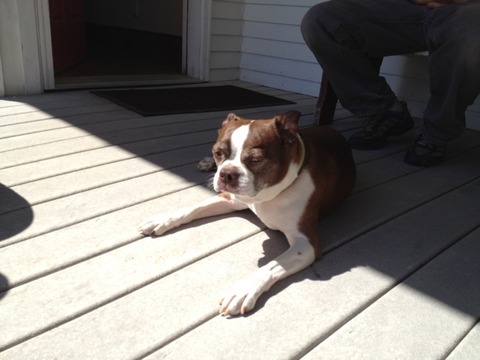 He has the maximum energy level for a Boston Terrier, and enjoys interacting with his people in physical activities. He loves to chase thrown objects and has been trained to drop balls at the feet of his human pitcher. He walks well on a leash, and enjoys long walks through the neighborhood. He barks only when he deems it necessary, and will wait patiently behind a gate until permitted to go elsewhere in the home. 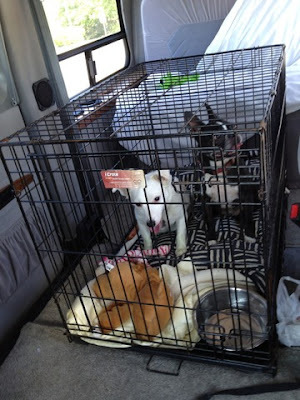 He is crate-trained and sits patiently in one spot while traveling in the car. 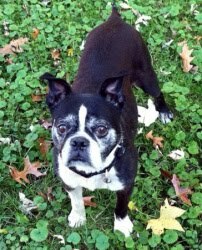 Max is an affectionate, adoring Boston who has many years left to love a family who could appreciate all he has to offer. 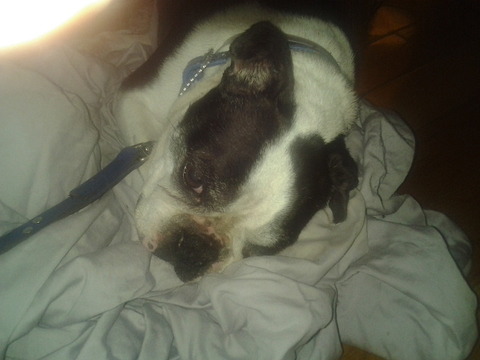 He is neutered, house-broken, has great teeth and is up to date on his shots. Won't you open your heart to 26 pounds of unconditional love? I wanted to update you all on our foster, Hank. He is a ten year old brown Boston who was dumped outside a Connecticut shelter. We've had him going on 2 weeks now. He is very sweet and gentle. He's a big boy...35 pounds. 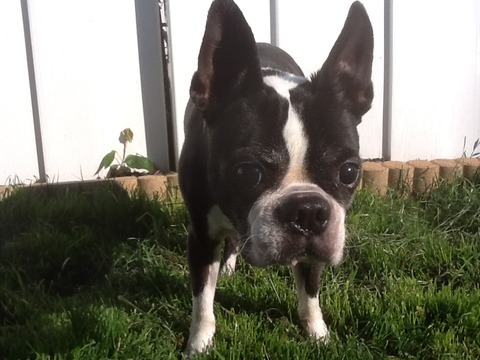 He has a great appetite and gets along well with other dogs aside. He likes sleeping in his bed and under the blankets in our bed (while snoring loudly), and he loves chewing on raw hides. 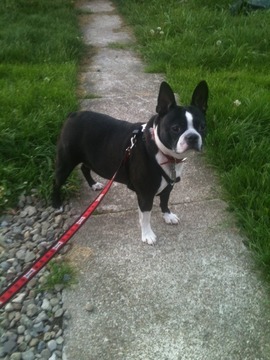 He enjoys leisurely walks and car rides. He doesn't seem to have much experience with cats. He's very interested in ours. I think he just wants to smell her, but so far she hasn't allowed too much of that. During one of their first few times meeting, she hissed at him, and he whimpered and peed. :) Poor guy. 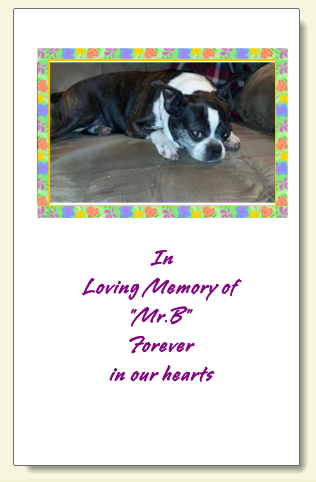 He would really be a dream dog for families with or without other pets. We think he's an old soul. I can't imagine how someone could abandon him. I've attached some pics. Nitro is doing well! He is much happier after his mouth surgery. He loves to go on walks and roam the back yard. He loves to give kisses and cuddle too. He has become the bath giver in the house, he cleans everyone. He had a little spill and lost a nail recently, but he recovered quick! Check out a pic of him! Presenting our new foster, Rocky! He will be lovingly cared for by Renee Posey until he is able to find a forever home. 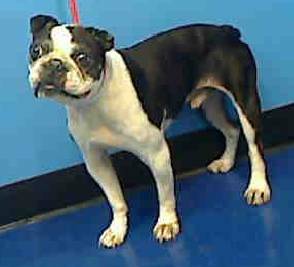 Bruiser, a ten year old Boston, was found in the Manhattan Animal Control Center. This is the beginning of a new life for Bruiser, who now gets cuddles instead of having to wander the New York Streets alone. Despite all, he is described by foster mom Narelle Wolf as being sweet and friendly. He says, "Thanks for breaking me out of there!" And here is a video of him playing at a New York dog park with his foster mom and all his new dog friends! Tori is starting to relax a little. She loves this rubber squeaky toy and was throwing it around the kitchen while was making supper. 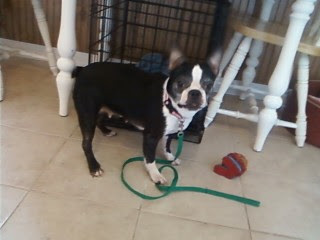 Any time I moved however, she would grab it and run in her crate. Trust me Tori...I don't want that slimy thing. 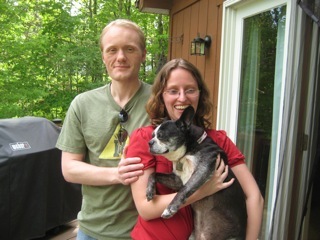 Jake has a Forever Home! And a New Name! of the morning next to me on the couch.